Is anyone else experiencing problems with the rendering facilities in Creo 3? 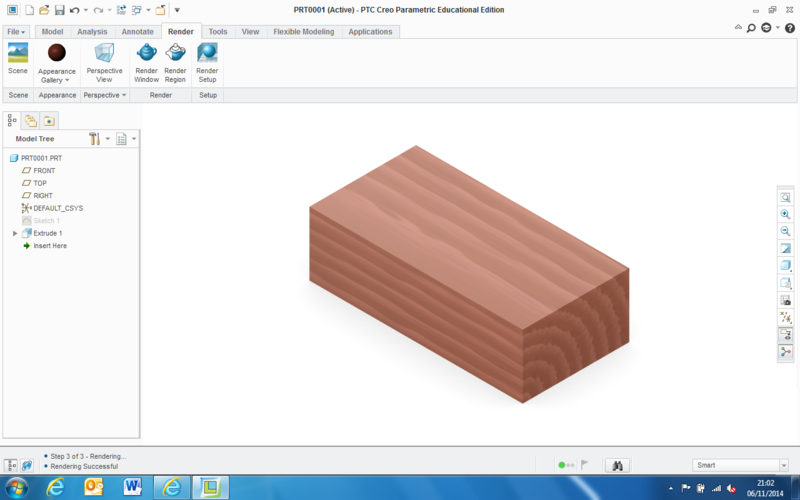 I am finding it almost impossible to create good quality renders of wood grain and difficult to replicate renders that I have previously executed easily with Creo 2. 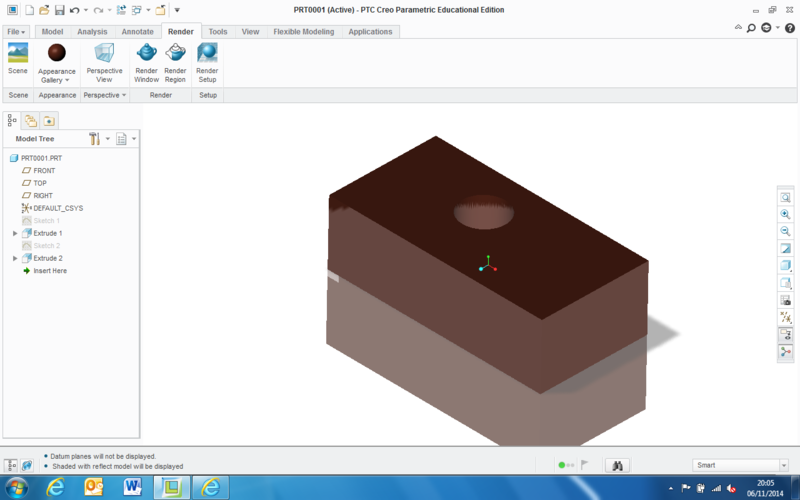 It was possible in Creo 2 to create an acceptable render using the default settings but now it is necessary to adjust lighting otherwise the render is much too dark. Even with lighting adjusted it is very difficult to get a good quality render of grain. I personally am most dissapointed with what I have seen so far. Does anyone have any more positive experiences with the rendering facility? I am still using Creo 2 so I can give files to schools. Just had a quick go and had no problem opening 2.0 Academic files. The render seems to work the same way except the render appears in a new window. I tried changing the wood grain direction and scale on the boiler which seemed to work for the two renders below. I think I know what has happened. 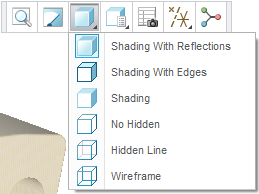 In Creo 2.0 advanced material textures wouldn't display properly when modelling with the shading with Reflections' option set for the graphics window. They do now, see the screen capture below of the modelling window.. It seems making advanced textures work in live view may have changed the way proper render works. Is this a case of one step forward to improve 'window dressing' resulting in two steps back for core functionality? Is it my imagination or does draft render work much quicker in Creo 3.0? The larger image of the train was the modelling window without being rendered but with the "Shading With Reflections" option chosen. The top two windows were done with 'Render to Window' with 'Maximum' setting. This is what I get for a mahogany render in the modelling window! Do you think this might be a graphics card issue? Roy, Could be graphics card issues. I created a similar block with Mahogany Solid Polished applied and the Photolux-studio-soft scene. I edited the Appearance and changed direction to Z axis and increased the scale to around 60. Just with Shading with reflections set I get the view below and with Maximum render the image below that. I couldn't find the Photolux-studio-hard scene which is the one I used most for illustrations in documents. 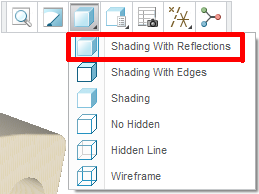 Even with Shading with Reflections selected? Yes Tim. I have that selected. Photolux studio hard scene is there but not in the same place as previously! I would try the OpenGL graphics commands in the config.pro to see if that works. If so, then try removing them and updating your graphics card drivers. Let me know how it goes.